FOR IMMEDIATE RELEASE: Toronto (June 14, 2011) – The Canadian Children’s Book Centre (CCBC) is pleased to announce the finalists for the TD Canadian Children’s Literature Award, Prix TD de littérature canadienne pour l’enfance et la jeunesse, Marilyn Baillie Picture Book Award, Norma Fleck Award for Canadian Children’s Non-Fiction, Geoffrey Bilson Award for Historical Fiction for Young People and the inaugural John Spray Mystery Award. The winners of the English-language awards will be announced at an invitation-only gala event at The Carlu in Toronto on October 4, 2011. The winners of the Prix TD de littérature canadienne pour l’enfance et la jeunesse will be announced at an invitation-only gala event at the Montreal Museum of Fine Arts on October 25, 2011. Overall, $115,000 in prize monies will be awarded. This year’s nominated titles are as diverse as they are captivating. Among the finalists are stories introducing readers to the building of the Canadian Pacific Railway; an African-Canadian woman who won’t be budged as she stands up for her rights in Nova Scotia in the 1940s; young war guests from Britain arriving in Guelph, Ontario, the gritty world of Victorian London, and spoons and forks (along with young readers) that get a lesson in tolerance when they meet Spork. JURY MEMBERS: Carol-Ann Hoyte, children’s poet and Assistant Librarian, Selwyn House School; Dr. Dave Jenkinson, Professor Emeritus, Faculty of Education, University of Manitoba; Kathleen Martin, writer, editor and President, Writers’ Federation of Nova Scotia; Judith Saltman, Associate Professor, School of Library, Archival and Information Studies, and Chair, Master of Arts in Children’s Literature Program, University of British Columbia; Larry Swartz, Instructor, Ontario Institute for Studies in Education, and author of Good Books Matter. JURY MEMBERS: Michel Clément, Educational Consultant; Danièle Courchesne, teacher; Rosette d’Aragon, retired librarian and Children’s Literature Facilitator; Brigitte Moreau, school librarian; May Sansregret, bookseller. JURY MEMBERS: Mariella Bertelli, storyteller and Head Librarian, Spadina Branch, Toronto Public Library; Sheba Meland, Children’s Publishing and Editorial Consultant; Janis Nostbakken, Children’s Media Specialist. JURY MEMBERS: Julia Beck, Education and Research Consultant, and former Director of Library Information Services, Toronto French School; Jeffrey Canton, Lecturer, Children’s Studies Program, York University, Toronto; Wendy Mason Geoghegan, Children’s & YA Specialist and Consultant, Indigo/Chapters, and former instructor, University of Toronto and University of Windsor; Arlene Perly Rae, writer and children’s advocate; Itah Sadu, author, storyteller and owner of A Different Booklist. JURY MEMBERS: Betsy Fraser, Selector, Calgary Public Library; Rachel Seigel, Selection Manager, S&B Books; Gail de Vos (chair), storyteller and professor, School of Library and Information Studies, University of Alberta. JURY MEMBERS: Ken Setterington, librarian, author, reviewer and former Child and Youth Advocate for the Toronto Public Library; Marian Misters, co-owner of the Sleuth of Baker Street Mystery Bookstore, and Eric Wright, retired Professor of English at Ryerson University, writer, and winner of numerous awards including four Arthur Ellis Awards for Best Crime Novel, and the Derrick Murdoch Award for lifetime contribution to Canadian crime writing. The TD Canadian Children’s Literature Award was established in 2005 to honour the most distinguished book of the year for children aged 1 to 12. Entries are judged on the quality of the text and illustrations and the book’s overall contribution to literature. All books for children, in any genre, written by a Canadian, are eligible for the award. The winning book receives $25,000 and an additional $10,000 is divided amongst the honour books. The publisher of the winning book receives $2,500 for promotional purposes. The Marilyn Baillie Picture Book Award honours excellence in the illustrated picture book format, for children aged 3 to 8. Charles Baillie, retired Chairman and CEO of TD Bank Financial Group, is delighted to give the prize in his wife Marilyn’s name. 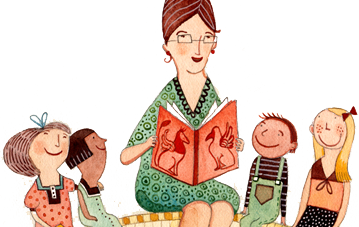 As an award-winning children’s book author and an early learning specialist, Marilyn is involved in and passionate about children’s literature. The winning book receives $20,000. The Norma Fleck Award for Canadian Children’s Non-Fiction was established by the Fleck Family Foundation in 1999 to recognize Canada’s exceptional non-fiction books for young people. The award honours Norma Fleck (1906-1998), who inspired a deep love of reading in her children and grandchildren. Dr. James Fleck, who initiated the award, is the son of Norma Fleck. The winning book receives $10,000. The Geoffrey Bilson Award was established in 1988 in memory of the respected historian and children’s author, Geoffrey Bilson. The $5,000 prize is awarded annually to the Canadian author of an outstanding work of historical fiction for young people. In 2005, the Bilson Endowment Fund was created to support this award. If you wish to contribute to this fund, please contact the CCBC. The John Spray Mystery Award was established in 2011 to honour excellence in the mystery book format. John Spray, President of the Mantis Investigation Agency, is delighted to sponsor the prize, noting that mystery books made him a passionate reader at an early age and helped him find his chosen career. The $5,000 prize is awarded annually to a Canadian author of an outstanding work of mystery writing for young people. The Canadian Children’s Book Centre is a national, not-for-profit organization and registered charity founded in 1976 to promote, support and encourage the reading, writing and illustrating of Canadian books for children and teens. With book collections and extensive resources in five cities across Canada, the CCBC is a treasure-trove for anyone interested in Canadian books for young readers. For more information, please visit www.bookcentre.ca.